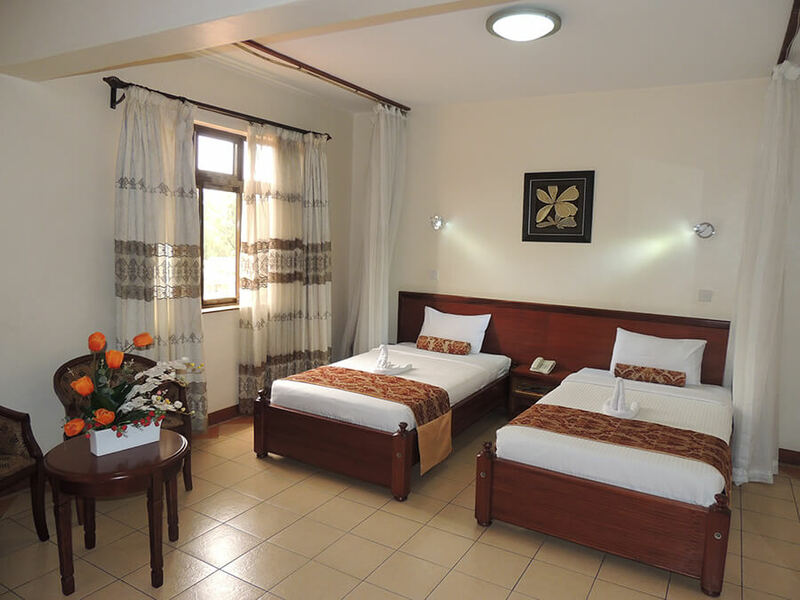 Hennessis hotel prides in the provision of 3-star accommodation experience close to Nairobi City Centre. 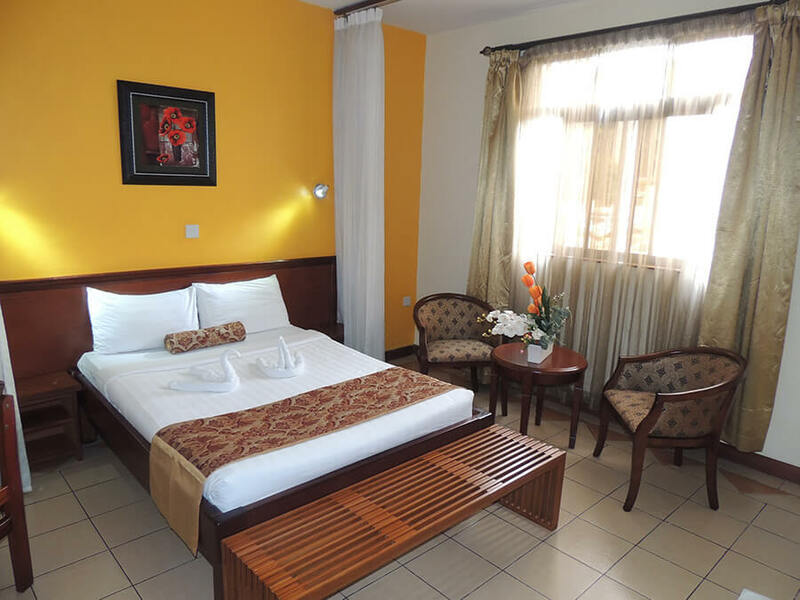 The hotel has 103 stylish rooms that include a Budget room, standard single, double deluxe, twin and superior rooms. 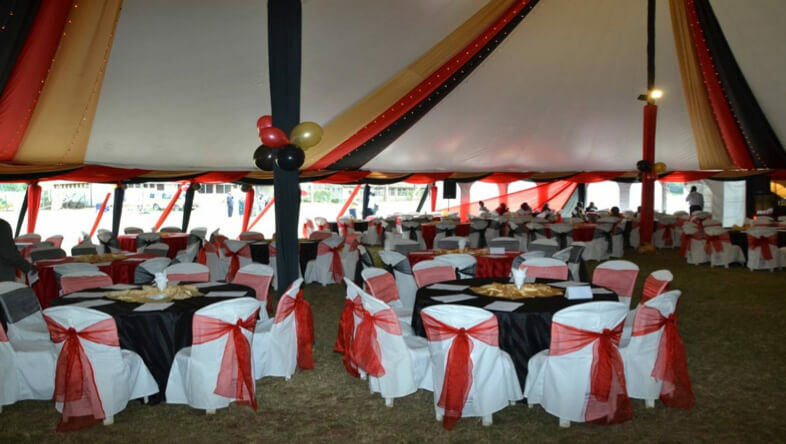 Hennessis hotel is situated along Limuru Road next to Stima plaza opposite Jamhuri High School. It is 500 meters from downtown Nairobi with close proximity to landmark areas such as UNEP headquarters, the Nairobi National Museum, City Park, and the Aga Khan University Hospital. We have managed to negotiate a special discount at Hennessis Hotel of up to 29% off. Click here to skip down to the rates section and to book a room at the hotel. All rooms at The Hennessis Hotel Nairobi have comfortable bathrooms with hot shower, complimentary Wi-Fi, a telephone, stylish furniture which includes a bed, comfy writing tables and chairs, lampshades, wardrobes, comfortable beddings, LCD screen television with satellite channels, coffeemaker, minibar, safe on request and in-house room service. 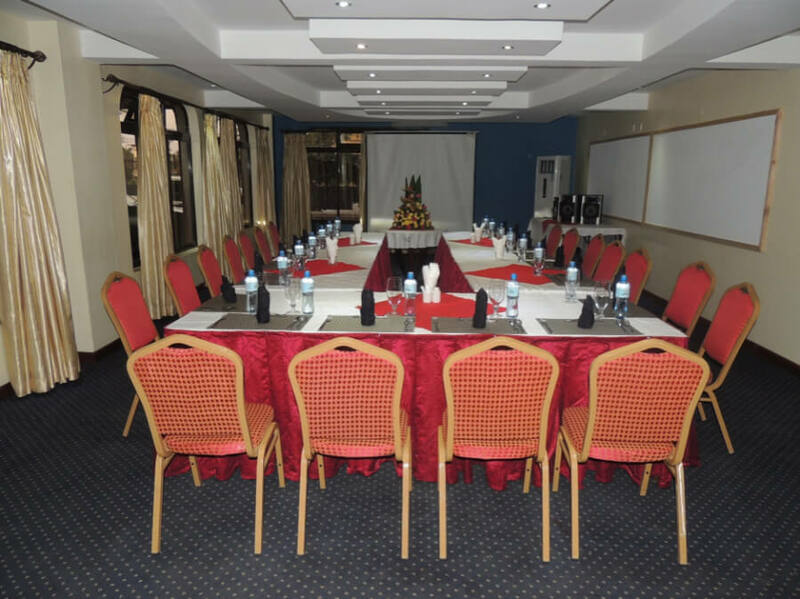 The Hennessis Hotel Nairobi also offers conferencing facilities, a restaurant, lounge bar, a business centre, ample parking and airport shuttle services on request. The hotel features a honeymoon suite specially designed for couples on honeymoon in Nairobi. The suite is very spacious complete with a romantic touch to ensure the love birds fall even deeper in love. • Free and reliable wireless internet. The on-site restaurant, ‘Marble Pandora’, serves a wide variety of mouthwatering international and local delicacies in menu and buffet options. It takes care of both vegetarians and Non- vegetarians and includes an extensive drink list with a variety of exotic wines from Italy, Chile, South Africa, Germany and France. The restaurant can sit 120 dinners. The Hennessis Hotel Nairobi also houses the ‘Sir Josephs lounge,’ the hotel bar of its own kind in Nairobi with an artistic finishing and paint work. It serves both alcoholic and non-alcoholic beverages, is spacious enough with a powerful surrounding sound system and can accommodate up to 300 revellers. Whilst outstanding food is obviously the focal point, the service wrapped around every dish makes the Hennessis experience a little bit special. 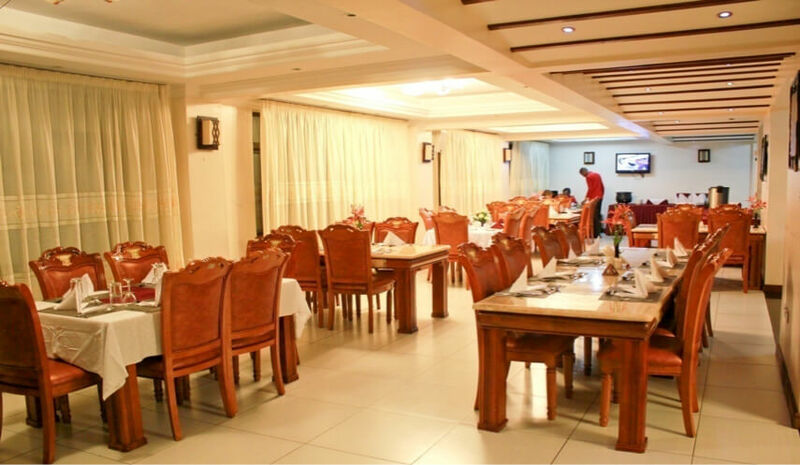 The 3-star Nairobi hotel provides professionally cooked food, a wide array of drinks and a high level of service delivery for all occasions from Dinner Parties, anniversaries, birthdays, Weddings and Corporate Functions. The Hennessis Hotel also offer free lunch deliveries. The hotel provides anything from coffee, pastries, snacks to a full meal from 9:00 am right throughout the day. You can choose to enjoy a drink in the bar, or outside on the balcony. The 3-star Nairobi hotel is under CCTV surveillance 24 hours and full time guards with metal detectors on every entry. There’s also a standby medic in case of an emergency. The Nairobi hotel has adequate parking lot with 24 hours security. There is also airport shuttle services upon request. We have managed to negotiate a special rate at Hennessis Hotel Nairobi of up to 29% off. This offer is only available when you book through this site. You won’t find a lower price even in price comparison sites like Tripadvisor, Expedia and Jumia and you book directly with the hotel. 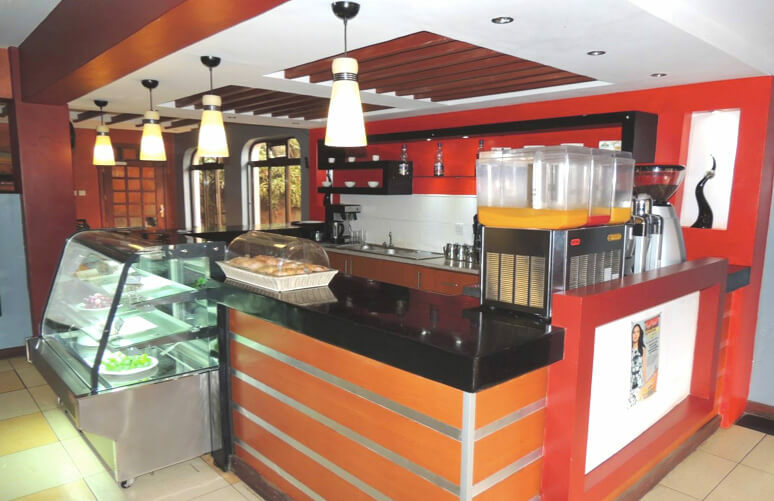 The hotel is located at the junction of Mushebi Road and Limuru Road in Parklands, Nairobi, Kenya. It is 19.3 km from Jomo Kenyatta International Airport (NBO) and 6.8 km from Wilson Airport (WIL).